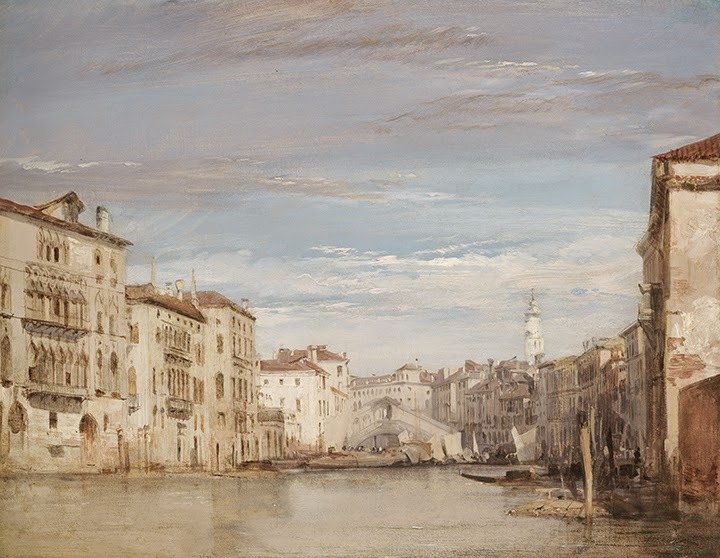 This painting of the Grand Canal in Venice by Richard Parkes Bonington (1801-1828) looks immensely detailed and at first it looks like it would have taken a long time to paint. But he used a time-saving method that works really well for both plein-air and studio paintings of architecture. The trick is to paint the large areas of the building fronts in opaque paint with big bristle brushes. Then let that dry completely. 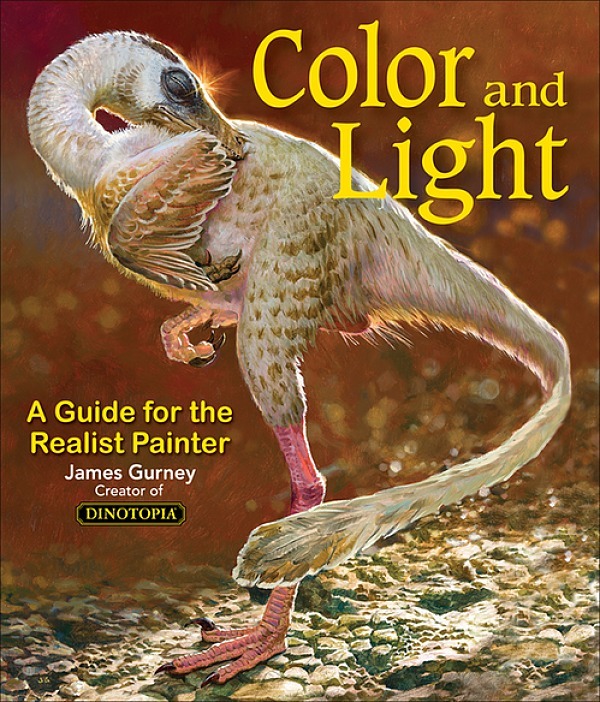 This might take 24 hours or several days, depending on whether there's a drying agent in the paint, such as Liquin or a drop of cobalt drier. On the second day's session, you can go back over those big areas with a smaller brush to subdivide the building fronts. A straightedge can help you find the vanishing points and keep the horizontals in perspective and the verticals true. 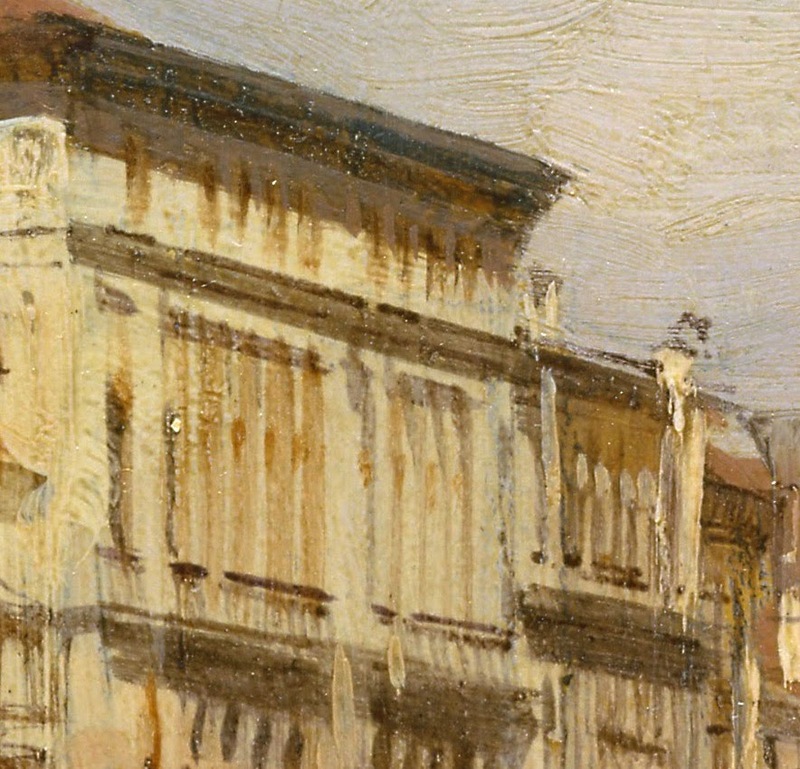 Note that underneath the vertical strokes of the big windows above, he lightly marked the spacing of the windows in burnt sienna before actually painting them. Not all of the strokes are dark. You can also pick out some light accents, such as the light stones and the insides of the windows catching light on the brown building at left. 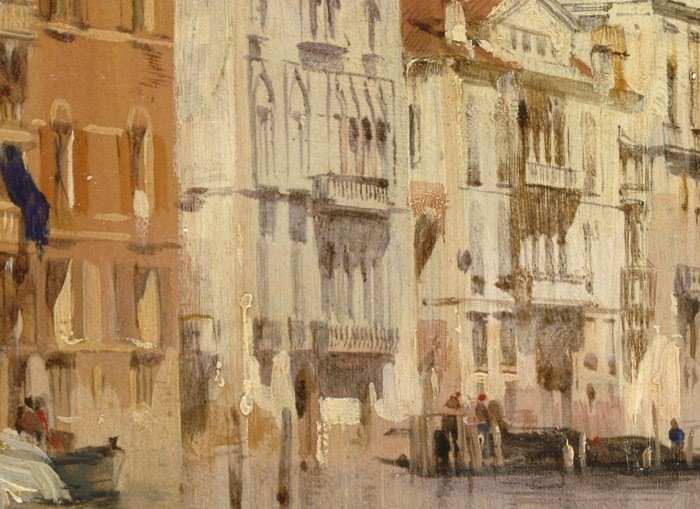 Here's another Venetian painting by Bonington. This one is on millboard, 14 x 18 inches, and was painted on location in 1826. 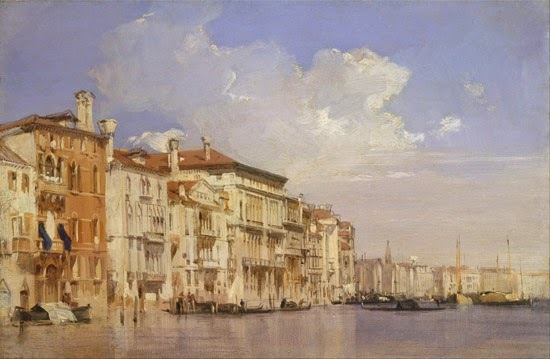 It uses a similar technique—and it's also similar to the technique used by the master of Venetian architecture, Canaletto. You can read more about this image and about Bonington at the website of the Kimbell Art Museum, which owns this painting. 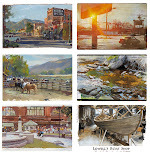 If you're painting on location in oil, these two-day paintings take some planning, and you have to be staying somewhere for a while. You can start several paintings one morning, then put them aside and go back to that spot a day or two later to finish them up. But if you're painting in gouache, acrylic, or casein, you can use this method all in one sitting. The mantra is "Large shapes first, small shapes last." The first painting is from the Yale Center for British Art in New Haven, Connecticut. Really interesting. Thanks for all your insights. So, are these considered his finished pieces or merely field studies from which to make larger studio paintings? Thank you for a great post, loved see those details and how he handled them.